This set of two artistic candles are hand dipped and decorated in the holy city of Safed, Israel. These candles will add a lot of spirit when welcoming in the Shabbat or any other festive and meaningful occasion. 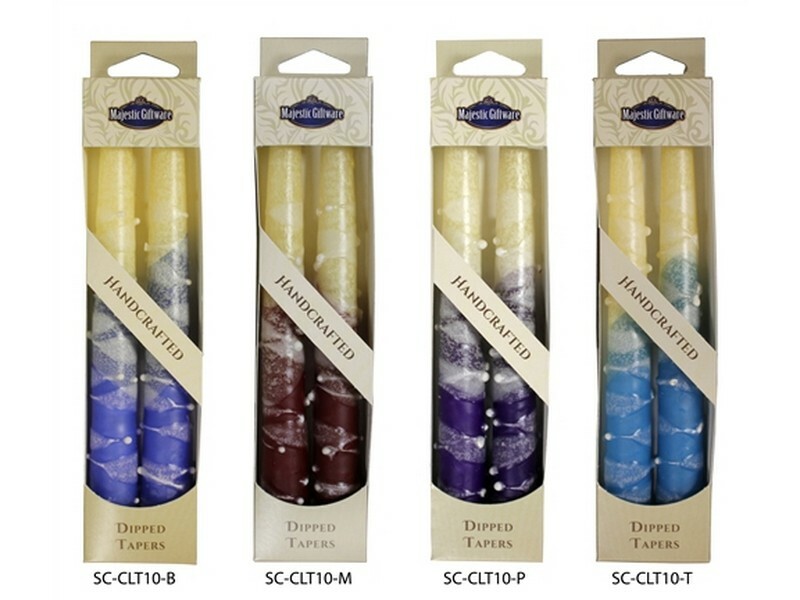 These classic light yellow candles are masterfully and colorfully decorated from the bottom up. Sets available in 7.5 and 10 inch height. Available in blue, maroon, purple and turquoise color.